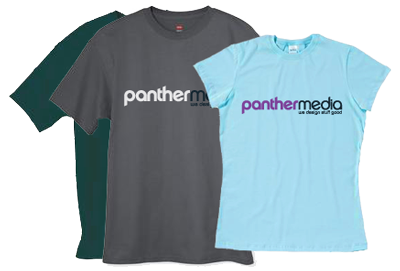 We’ve had some of pretty busy years here at Panthermedia and at times get overloaded with emails from prospective clients, contacts within the community groups we volunteer and of course our valued clients. There have been numerous days I sort through 100+ emails and during those busy times, important ones can slip through the cracks. To help keep important client requests and concerns organized and prioritized, we have implemented a support ticket system. We have done some testing the last few weeks and so far so good, there might still be a glitch or two but I think it’s ready for beta launch. I would like to encourage our clients to try out and give us some feedback on how it works. It’s pretty simple and allows you to check progress and communicate more efficiently with me or the developer working on your project. To access the page, go to the Client Area located in our main navigation bar or click here to dive right in. We are starting to develop mobile versions of websites, we currently have a couple in the works and will be releasing them later in June. We are implementing a customized mobile theme for wordpress sites that is modelled after Apple’s app store design specs, it loads lightning fast and shows your content beautifully, without interfering with your regular site theme. 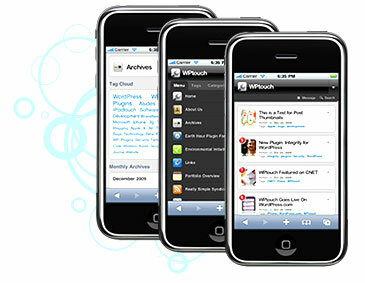 The mobile theme transforms your WordPress blog into a web-application experience when viewed from an iPhoneTM, iPod touchTM, AndroidTM, or BlackBerry StormTM touch mobile device. For non-wordpress sites we are developing mini-sites that focus on specific information about your company that visitors would be looking for on the go. Contact info, location, maps that sync to your phone and brief overview of services and products. Stay tuned for our future releases and sign up for our newsletter below. If you’ve been poking around your subscriber lists lately, you may have noticed that there are now up to 20 custom fields available per list, in addition to name and email. That’s right, we’ve doubled the maximum number of custom fields available to you and your clients! This has been a very popular request amongst clients wanting to synchronize their favorite CRM software with their subscriber list, or import a detailed customer contact list into InContactPro. So, we agreed – 10 custom fields just wasn’t enough for what some would consider standard contact information, let alone all the other details you may want to include in your subscriber list. Note that each field can contain up to 250 characters. Contact us to help integrate this new features into your web form or import a detailed customer list.